In less than a decade, Steve Job’s first iPhone gave birth to a new phenomenon. First came the iOS, followed by the Android. Together, they routed the Symbian, Java and everyone else. It certainly made a huge difference to our lives. More so, it made a huge difference to how we exchange information. Talking purely from the Business perspective, a decade ago, we lived in the era ruled by standalone systems. The architectures shifted from two-tier to three-tier. And, very soon we learnt about a newer phenomenon called “Cloud”. The concept of cloud computing bridged the critical need for data exchange with scalability. The compound annual growth rate for cloud computing market is of 22.8% from 2014 to 2018. The overall market-size will reach a whopping US $127.5B. These staggering facts directly state the rise of CRM Mobile Apps moving towards mobile platform. According to Forbes, The market share for cloud based CRM solutions will be over 62% of the available CRM solutions. The global smartphone penetration is at 73%. Global share for handheld devices amasses 91% of the total internet consumption. Over 85% Americans in the age group of 18-29 and virtually everyone in the Enterprise B2B segment owns a smartphone. Now, create a matrix of these stats against the fact that over 80% of the global workforce does not operate from the desk. When we put all these numbers together, the bracket screams “Cloud” and “Cloud Powered Mobile Apps”. Ranging from Small to Large Enterprise businesses requiring CRM solutions have quite a different set of requirements than before. They are now global. Current scenario of businesses have business units spread across geographies or the workforce requiring to travel. If neither, they would still have high level of inter-dependencies within the departments or micro operations. Thus, the developers of the enterprise B2B solutions have to upgrade their abilities. For example, multiple geographies and availability of the data demand higher security. In the old scenario of standalone system, this was hardly an issue. However, when the consumer demands are for the data to be available on the go, the CRM Mobile apps must add security layers with higher sophistication. That is not all, the data exchange speeds and the size are not ordinary either. In the economy driven by data, businesses demand scalability. And CRM Apps are critically the tools to make these operations more efficient. The leading CRM solution providers realized this fact. And the migration to the cloud based CRM Mobile Apps is already on the rise. If we look at the overall Mobile Apps, there are 10 consumer apps against each of the B2B app. However, over 43% of the B2B apps fetch over $10K revenue against 23% of the consumer apps. It is a logical choice to realize that B2B apps would be lesser and ideal to fetch revenue. However, since 2014 enterprise apps are exploding. With this change, small businesses who always considered CRM as an optional tool, now believes otherwise. The biggest hurdle to penetrate this segment was the price. And the price always had heavy dependencies on local server space in the scenario of standalone systems. Therefore, cloud computing also makes the price viable for small to mid enterprises to adopt CRM solutions. Open Source and cloud computing - together makes a powerful duo to earn profits. 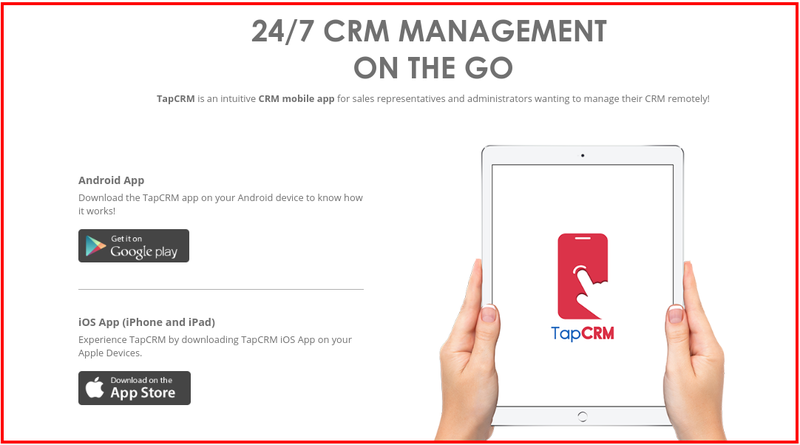 CRM Mobile apps for small business are still new to the market. Therefore, it could be an ideal opportunity for the developers seize opportunities here. Historically, the small to mid enterprises eluded themselves from ERP solutions. The trend is changing. The business demands are evolving. And, the costs are reducing. There cannot be a better scenario to build something so simple, yet powerful to create in-roads in this niche segment. And it is imperative that you do not forget the premium segments. 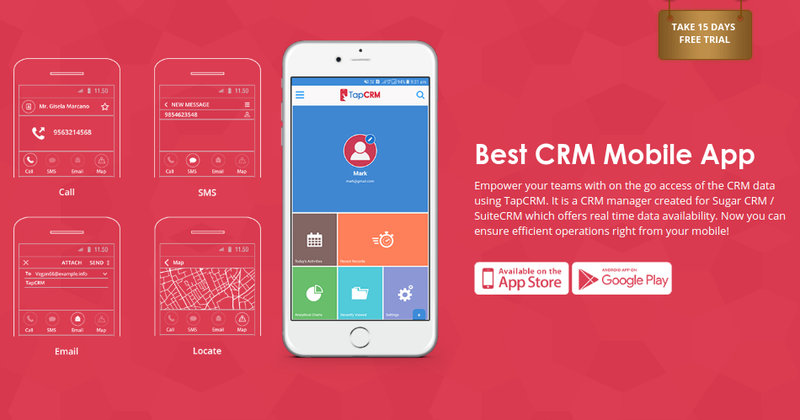 Though the market leaders are already flooding the App Marketplaces with CRM mobile apps, the segment remains niche. The mixture of cloud computing, mobile platform and open source solutions is a powerful combination to build scalable solutions.